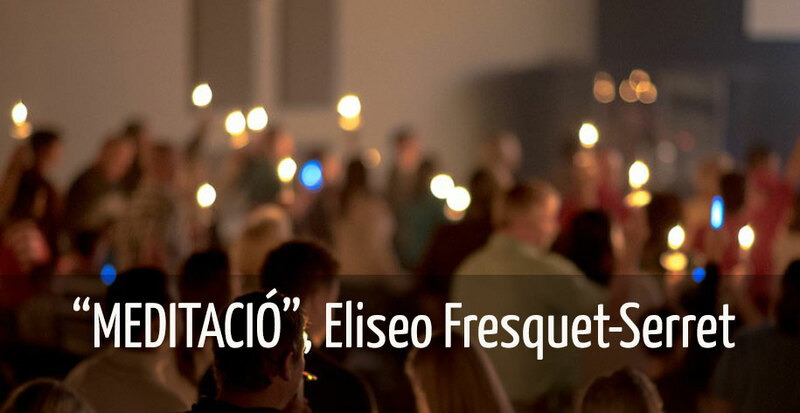 Mangore | Bellucci Guitars - New Composition: Eliseo Fresquet-Serret, "Meditació"
New Composition: Eliseo Fresquet-Serret, "Meditació"
Eliseo Fresquet-Serret is one of my favorite contemporary composers. His music is reminiscent of the greatest Spanish composers of all times and he is contributing some astonishing works for the Classical Guitar Repertoire. "Meditació", Prayer, is a gorgeous preludes that brings to mind the sobriety of Bach, the colorfulness of Barrios and the melancholy of Torroba. 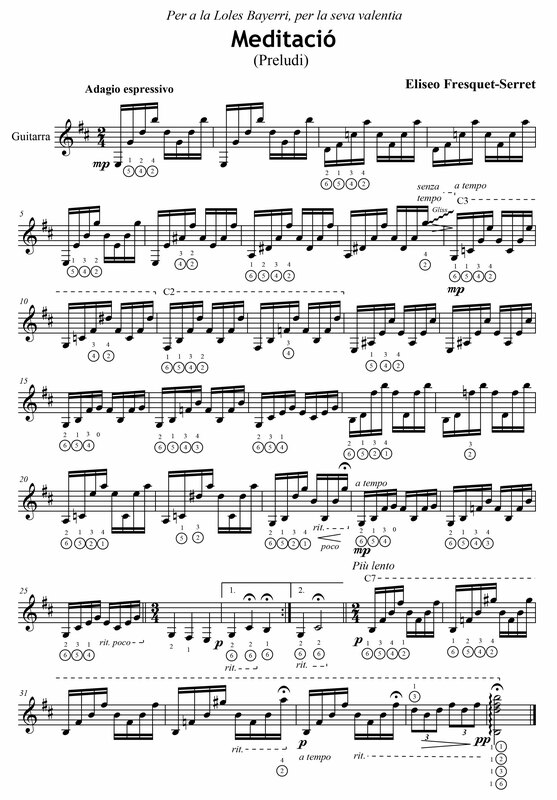 I cannot but reminisce Bach Well Tempered Clavier Prelude 1 and Barrios' Cm Prelude and "an Impressionistic touch" in the style of Vila-Lobos...all in one if that is even possible. Well, Eliseo pulled it off ! He adds some amazing closures to each arpeggio sequence and when you think that the arpeggio will resolve around the tonic, Eliseo takes you one or 2 steps deeper into his soul. This great Spanish composer can take marvelous routes and is constantly surprising the listener and he achieves it without transgressing the listener highest expectations. Eliseo's dissonances and changing accents make the music ever so engaging. I was lucky enough to have several of Eliseo's work dedicated to me: Somnis de Joventut a marvelous work I recorded and teach online the mangore.com pages is but one of several of his works that I intend to promote and premiere on mangore.com. 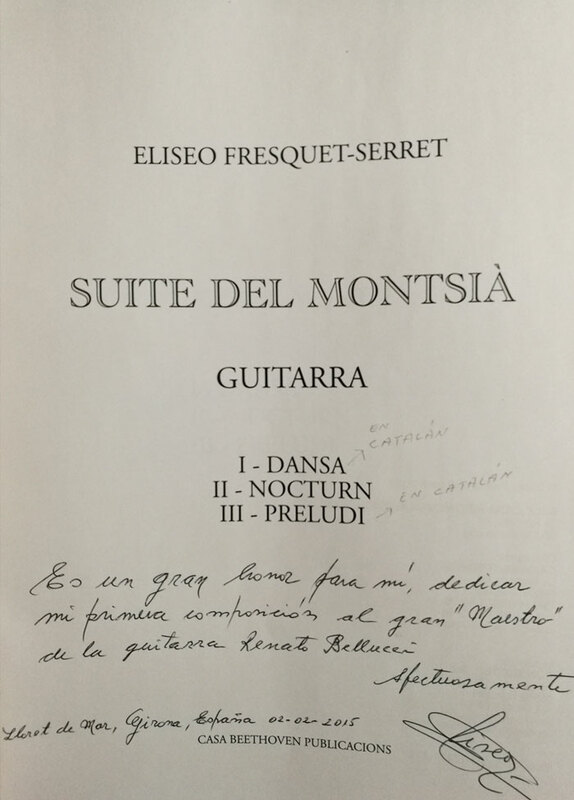 I am honored to be able to play this stunning work by an equally stunning Spanish composer: Eliseo Fresquet-Serret... BRAVO Maestro and thank you from the heart !! I will be recording another great piece by Maestro Fresquet-Serret real soon: "Angela". In his dedication to Angela, Maestro Fresquet writer in Catalan: "A la mega germana Angeleta" ...simply stunning ! Listen and Download the .mp3 of Meditació HERE>> San Bernardino, April 3, 2018, S.D.G. 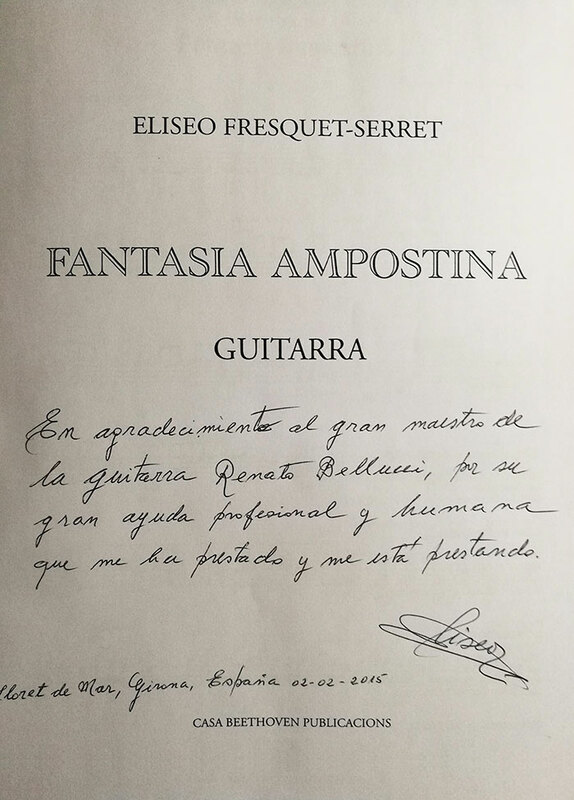 Eliseo Fresquet-Serret, Dedicated to Renato Bellucci Solo Guitar Piece "Fantasia Ampostina"
Eliseo Fresquet-Serret, Dedicated to Renato Bellucci, Solo Guitar Piece, "Suite del Montsiá"